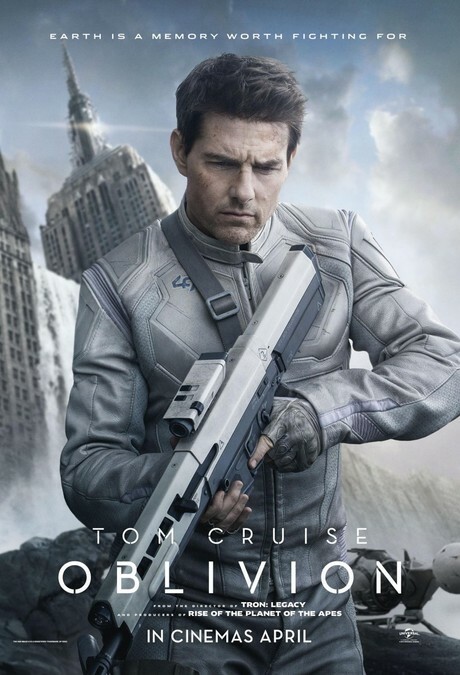 Tom Cruise Looks Dour And Well-Armed In This New OBLIVION Poster!! Fresh on the heels of yesterday's cool international trailer comes a new poster for OBLIVION. The film is due in theaters April 26.